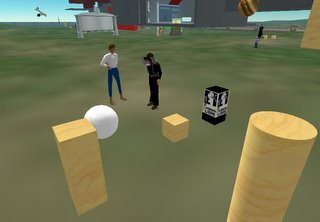 After finishing my job, I've been spending alot of time working in Second Life on my MyZoo project. 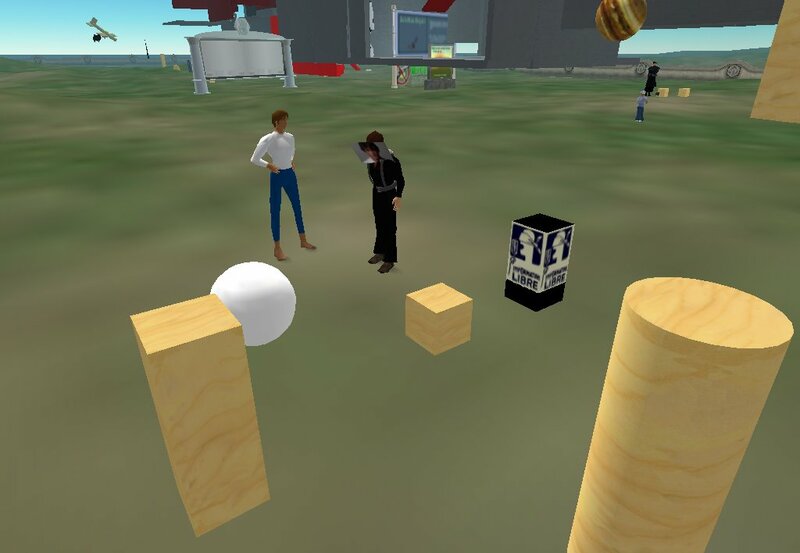 When I entered the welcome area a few hours ago, I saw an avatar sitting on top of a device labelled "Universal Translator". I initially thought - how cute! The avatar's name is Hank Ramos, and we played with a few different Languages - Spanish, French, even Chinese characters. 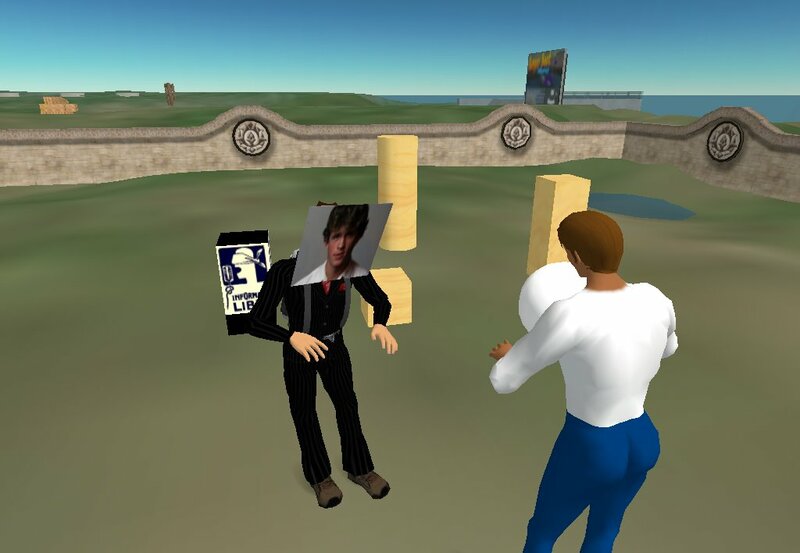 You chat in Second Life like normal, and it repeats (via object IM) the translated message to those who do not share you language but have signed up to "Listen". It doesn't use a translator script on the prim (which would be CRAZY). It uses the recent addition of HTML reading to LSL scripts to access the Google Languages translator, which is amazing to me. It keeps track of who is speaking what. So, until about 45 minutes ago this was just a cool toy, when suddenly a new user in the Morris Sandbox came up to me and said "Speak you spanish?" How perfect. The pictures are of us in the Morris Sandbox, me in the middle of working on MyZoo, him wandering around in his plain newbie avatar. His SL name is santico Sapunov. I popped out the translation box immediately, and somehow we communicated how to use it. He knows a little english, which helps, but the interface was outrageously easy. We found out details about eachother. He is some sort of post-graduate 33-year old economics student in Argentina. This is when everything turns awesome. We are still talking, but I took him out of the area to the Electric Sheep island. He is impressed with the virtual architecture. I shouldered the translator box on my back so I can fly around and we can still keep talking, me in English - repeated in Spanish, then he responds in Spanish - repeated in English. I'm going from place to place. Shouldering the translator box - sending santico the teleport and he follows me. We are now in a club, trying (with difficulty) to talk. I think this is the epitome of an experience SL is supposed to provide. Authored by Dustin at 8/20/2006 04:50:00 p.m.